Craig Lancaster, a Montana-based novelist, writes stories set in the contemporary American West. A couple of years after Lancaster's arrival in the Big Sky State in his mid-30s, he began chasing a long-held dream of writing novels. 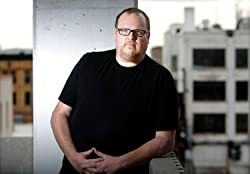 His debut, "600 Hours of Edward," was first released in 2009 and went on to be selected as a Montana Honor Book and a High Plains Book Award winner. In 2012, it was acquired by Lake Union Publishing and re-released, gaining a whole new cadre of fans. His follow-up, "The Summer Son," was released in January 2011 by Lake Union Publishing, to similar acclaim. Booklist called the new novel "a classic western tale of rough lives and gruff, dangerous men, of innocence betrayed and long, stumbling journeys to love." It was a Utah Book Award finalist. Next came "Quantum Physics and the Art of Departure," a collection of short fiction, including pieces Lancaster originally published in Montana Quarterly magazine. That book, released by Missouri Breaks Press, came out in December 2011 and was a 2012 Independent Publishers Book Awards gold medalist and High Plains Book Award finalist. In April 2013, Edward Stanton, the main character in Lancaster's debut novel, returned in "Edward Adrift," also published by Lake Union Publishing. This book, too, was widely hailed, with veteran Montana journalist David Crisp noting that "with remarkable speed, Mr. Lancaster has made himself into one of Montana's most important writers." Please enter your email address and click the Follow button to follow Craig Lancaster!